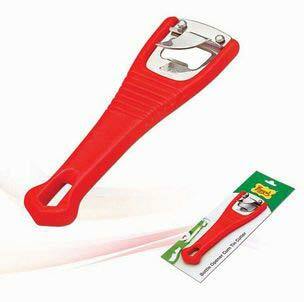 We are a well-reckoned Manufacturer, Supplier, and Exporter of Bottle Opener and Tin Cutter in Rajkot, Gujarat, India. Our offered Bottle Opener and Tin Cutter are extensively used in various hotels and restaurants for opening various bottles and cutting fruit tins. We make them in accordance with the predefined industrial standards and norms. We are well-capacitated to deliver it in bulk, within the stipulated time frame. We offer it at the leading market rates.